We’ve seen this narrative play out before. It doesn’t end well. In 2006, the Democrats could taste their takeover of Congress months before the November elections. That summer, the far-left, virulently anti-war faction of the party went all out to defeat longtime Democratic Senator and former Vice-Presidential candidate Joe Lieberman in the Connecticut Senate primary. They succeeded in replacing Lieberman as the Democratic nominee with a MoveOn.org backed candidate named Ned Lamont. The thinking was that in a huge Democratic year in a solidly Democratic state, Lamont would easily win the general election against his G.O.P opponent. Instead, Lieberman ran as an independent and garnered enough support from independents, moderate Democrats and Republicans to beat Lamont and earn himself another six year term. Since then, Lieberman has been a consistent thorn in the side of the Democratic Party, speaking out against the party establishment’s weak-kneed approach to terrorism and the wars in the Middle East and, most recently, killing the Public Option, the path to single payer health care that the American Left wanted more than any other item in the health care bill. Now, with the winds of change finally blowing in our direction, conservatives are faced with an almost identically delicate situation. A long-serving senator with a famous independent streak who was recently the standard bearer for the Republican Party is facing a close primary fight. 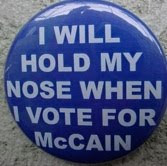 Many conservative purists, led in part by the Tea Party movement, want to punish John McCain for his past sins, confident that his G.O.P. replacement, J.D. 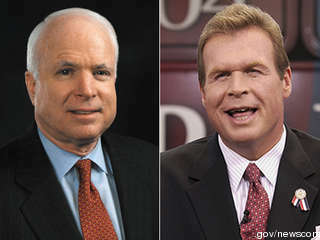 Hayworth will be capable of holding onto the McCain seat in November. But conservatives really need to think this through. The consequences of a McCain loss in the Arizona primary are unpredictable and present a risk of serious damage to the conservative movement. McCain’s conservative critics rightfully point to his vote against the Bush tax cuts, his push for amnesty and his flirtation with global warming alarmism as proof that he lacks ideological consistency. While there is some doubt about his dedication to the conservative cause, there can be no doubt about his resolve and the size of his ego. I seriously doubt that the guy who survived five years of torture (Not waterboarding. Actual torture.) in a Viet Cong interment camp is going to simply pack it in if he loses a G.O.P primary in a state where he is immensely popular and has enjoyed bipartisan support for 25 years. If McCain loses to Hayworth in the primary, my guess is that he will take a page from the book of his good buddy Joe Lieberman and run as an independent. If this occurs, one of two scenarios will unfold. In all likelihood, McCain will piece together enough support from moderate Republicans, conservative Democrats and his state’s independents to get on the November ballot and win the general election. He will then feel beholden to no ideology and spend the next six years exacting revenge on the conservatives who ousted him by making crummy deals with Barack Obama and the Democrats. In the other scenario, McCain runs as an independent, splits the conservative vote with Hayworth in the general and hands the seat to a Democrat. If losing this one seat keeps us from taking back the Senate in November, who benefits the most? If you said “Barack Hussein Obama,” you guessed right. The balance of power is not the only area where throwing John McCain under the bus may negatively impact the conservative cause. Despite his high profile breaks with the G.O.P in the past, McCain has been rock solid in his opposition to the Obama agenda. Given his history as a bipartisan “maverick” you would have thought McCain would have been first in line to cut deals with the once popular Obama on the stimulus package and health care reform. But McCain stuck with the conservatives while true RINOs like Olympia Snowe, Susan Collins, Arlen Specter and Charlie Crist jumped ship. Not only that, but McCain used his high national profile to lead the charge against these terrible ideas. He must be given his share of the credit for helping turn public opinion against Obama’s big government agenda and giving the G.O.P new life politically. McCain, more than any other member of the Republican caucus, seems to have received the small government, anti-income redistribution message being sent by the Tea Party and is behaving accordingly. It simply doesn’t make sense to fire someone who has been doing exactly what we’ve been demanding Republicans do for the last year. On issues like earmark reform and national security, McCain has been with the conservatives all along. He never buckled during the Iraq debate, even when George W. Bush was wallowing in 30% approval ratings. Despite losing an election that would have been unwinnable for anyone with an “R” next to their name, McCain maintains credibility unmatched by anyone in the Republican Party on matters of foreign policy and national security. When he speaks on these subjects, he repeatedly exposes the amateurish, naiveté of the current administration. 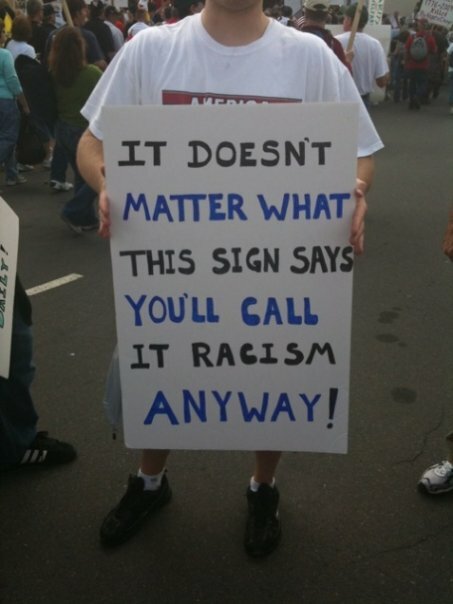 Unlike the now powerless anti-war movement, the vast majority of Tea Partiers are not radical ideologues. 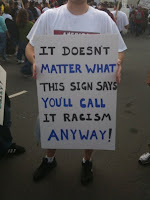 Also unlike the anti-war Left, the Tea Partiers are promoting views that are shared by a majority of Americans. But, as they have made perfectly obvious throughout the course of the last week, the mainstream media has it out for the Tea Partiers and are searching tirelessly for a brush with which to paint its participants as extremists. If conservative purists are successful in ousting McCain, who is still viewed by many as someone who believes in bipartisanship and who has reached across the aisle throughout his career (a quality that independent voters still crave) his defeat will be used as a bludgeon against all conservatives. Our opponents and the mainstream media will portray conservatives and Republicans as being the doorkeepers of a small tent who eat their own candidates if they exhibit anything other than a lifelong pattern of ideological purity. Such an act of political cannibalism will appear even more irrational if the guy being eaten is the same dude we were trying to make leader of the free world less than two years ago. So while I completely understand the desire of conservatives to see Republicans with a history of liberal votes kicked out of office, this should not lead us to equate a John McCain with the likes of Dede Scozzafava. What, exactly, would conservatives stand to gain by acting so vengefully? Seriously. What's the payoff on this one? If we want to send the message that RINOism will no longer be tolerated, there are other ways to do so using the political process that don’t risk devastating the conservative power structure by giving the boot to popular, longstanding incumbents. For example, it looks as though Florida conservatives intend to punish G.O.P establishment candidate Charlie Crist for supporting President Obama’s non-stimulating, stimulus by nominating Marco Rubio in a landslide. Rand Paul is doing very well against another RNC backed candidate in Kentucky. That’s fine with me as well. But we conservatives shouldn’t put ourselves in a position where we abandon those who have spent their lives as dedicated advocates for many fundamental conservative principles, simply because they haven’t been true to our favored ideology 100% of the time. After the Left took down Joe Lieberman in the 2006 Democratic primary, conservative talk radio hosts and cable commentators blasted the Left for throwing a principled politician overboard simply because he didn’t toe the liberal line on a few issues. They were right to do so and their liberal counterparts will be completely justified in blasting conservatives if they abandon McCain. I have nothing against J.D. Hayworth. 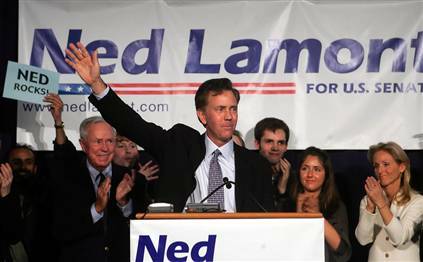 But the last thing our new conservative juggernaut needs right now is our own Ned Lamont. Ronald Reagan believed that the person who voted with him 80% of the time was his friend. I assure you that he would have been adamantly opposed to the way in which many conservatives are abandoning Senator McCain in the name of ideological purity. Last night, conservatives lost a major battle in the fight for limited government. There’s really no way to sugar coat that fact. This health care monstrosity will be nearly impossible to repeal and even if the federal mandate forcing every American to purchase health insurance is found to be unconstitutional, we are still left with a new, massive entitlement that will result in higher taxes, higher insurance premiums and a lower quality of health care for the vast majority of Americans. Today, conservatives are despondent and with good cause. But we put up an amazing fight. We did absolutely everything we could do to keep America from treading down the incredibly short-sighted path to more government control of our nation’s health care system. But, in the end, we had to bow to the realities of an overwhelming Democratic congressional majority and a Speaker of the House who is gifted at convincing her Democratic colleagues to fall in line and who has no qualms about handing out goodies to those who need some extra persuading. However, while Democrats celebrate, there are reasons for conservatives to be thankful and hopeful on this dark day for the country that most Americans know and love. Since the health care issue became the focus of the national conversation more than a year ago Conservatives have made incredible gains in terms of the popularity of their ideas and have succeeded in dramatically changing the terms of the entire debate concerning the role of government. This bodes extremely well for us in future elections and very poorly for the future of the Democratic Party and of the progressive movement in the United States. Here is a list of some of the things that Conservatives can be happy about on a day when many of us are feeling hopelessly depressed. At the beginning of this fight, the idea of a government-run insurance company that would “compete” with private insurers was the centerpiece of the Democratic health care plan. Of course, the goal was never to increase “competition.” It was to drive the private insurance companies out of business. Anyone with a third grade understanding of basic economics knows that there’s no way a private insurer could have survived when faced with a government competitor that didn’t have to worry about making a profit. The goal all along was to use the public option to achieve a single-payer health care system. Many Democrats admitted as much. The expansion of the Medicaid entitlement, the new taxes and the onerous new regulations that will be placed on the private insurers will be painful and will damage the nation’s ability to grow economically. But, a public option leading to single-payer would have done far more damage, permanently stymieing the exceptional American economic engine which has made our economy the envy of the world for the past three decades. Additionally, single payer systems inevitable result in increased rationing and huge declines in the quality of care. America dodged a bullet when the public option died. 2.Conservatives won the policy debate. The fact that the bill was opposed by a majority of Americans from the summer of 2009 until its passage was not a result of Republican misinformation as the Democrats would like you to believe. In fact, the American people turned against the plan despite the steady stream of misinformation about the bill’s effects that came from Barack Obama and his allies and which were intended to bamboozle the electorate into supporting it. At every turn, the majority of the American people saw right through all of it. When the President claimed the bill would lower costs, the American people understood that this defied logic. When Democrats repeatedly claimed that it would lower the deficit, only the most dedicated Obamabot believed this to be possible. The Left’s claim that our health care system was equivalent to that of a Third World nation and that more government intervention was required to help us catch up with the “civilized” world was an easily disproved canard. The overwhelming victory that conservatives achieved in the policy debate was a triumph of facts over talking points. The superiority of our side’s argument was exhibited repeatedly from threads on blogs and Facebook to the square table at Blair House where Paul Ryan made the President cringe in frustration as he was presented with his own misstatements. In the end, our arguments forced the Democrats to pass an unpopular bill and has put them at risk of losing the House of Representatives in the coming November elections—a possibility that was unthinkable a year ago. It also destroyed much of President Obama’s credibility and the moderate image of a post-partisan figure that he had worked so hard to cultivate among independent voters during the 2008 election cycle. 3.An informed, powerful conservative grassroots movement has been born. One of the reasons that conservatives were so successful in winning the policy debate was because they became engaged at the grassroots level in an unprecedented way. For the first time in political history, regular everyday folks were actually reading thousands of pages of mundane legislation to try and understand exactly what was in it. On talk radio and in the blogosphere, it was clear that those who were once casual observers of the political process had acquired a fairly deep understanding of a very complicated issue. While the Left’s argument never really went much further than to suggest that the expansion of government provided health care was the compassionate thing to do, those on the Right were explaining the economically damaging results of past government health care programs like Medicare and Medicaid, the failed experiments of systems in Canada, the U.K. and Massachusetts, the true ramifications of the public option and the questionable constitutionality of the nationwide insurance mandate. When Obama tired to make doctors out to be soulless monsters controlled by greed who were taking out children’s tonsils unnecessarily in order to make a quick buck, conservatives countered by explaining that the reason doctors often perform unnecessary procedures is because they are protecting themselves against the possibility of expensive and often frivolous malpractice lawsuits. The Democrats key assertion that insurance industry greed was the primary cause of high insurance premiums was easily disproved and conservatives across the country shot emails to their liberal friends and family members showing that the insurance industry is not really that profitable at all, bringing in only about 3 pennies on the dollar in annual profits and ranking 87th in terms of their profitability among all American industry’s. When Democrats touted the CBO numbers claiming that their trillion dollar health care legislation actually “reduced” the deficit, conservatives pointed out how Democrats dishonestly manipulated the numbers by double counting the dollars being spent and through budget gimmickry like hiding the Medicare “doctor fix” in a separate bill. On point after point, in debate after debate, conservatives got the better of their unprepared liberal opponents. This occurred because conservatives and many independents made an unprecedented effort to educate themselves on the health care issue. The conservative side of the electorate is now more engaged and paying closer attention to policy debates in Washington than ever before. Add that to their seemingly endless supply of energy and persistence and you have a new conservative activist base that is truly a force to be reckoned with. 4.The length of the debate was a huge setback for the Democrats. Remember how the Democrats wanted to have health care reform done by June of 2009? That didn’t really work out so well. Because of the unanimous conservative opposition to the bill and the conservative movement’s ability to convince the majority of Americans that the Democrat’s proposals were not beneficial to the country as a whole, the debate dragged on and on. Had the Democrats successfully passed a bill last summer, they would have had nine extra months in which to move on to other issues like “Cap & Trade” and immigration reform. Democrats would have not suffered the damage that the extended debate caused them in the polls and they would have likely made quite a bit of headway in achieving parts two, three and four of their liberal agenda. There would have been no Scott Brown. No angry town halls and the Tea Party movement would have never become as powerful as it is today. Now, seven months before the mid-term elections, the Democrats would have to be completely suicidal to bring up another of their controversial agenda items in this heated political environment. Can you imagine what would happen if we spent this summer debating amnesty for illegal immigrants? All hell would break loose and the Democrats would almost certainly lose Congress. Additionally, even without another protracted policy fight, it is almost certain that the G.O.P will make significant gains in both the House and the Senate come November. Given the unity exhibited by the Republican caucus over the past year, it is almost impossible that the Democrats will be capable of getting any more of Obama’s leftist agenda enacted once their majorities have been trimmed. This could perhaps be the case for the remainder of Obama’s term in office. 5.Obama is not as charismatic or convincing as we once thought. Perhaps conservatives underestimated Nancy Pelosi’s ability to push legislation through Congress. But it looks as though we dramatically overestimated Barack Obama’s ability to sell his policy ideas to the American people. At the beginning of the debate, Americans had overwhelmingly positive feelings about both the President and health care reform. By Christmas, a majority of Americans opposed the Democrats’ proposal and Obama’s personal approval rating was 15% points lower than it had been after his inauguration despite the fact that Obama had dedicated the better part of the year to speeches and interviews touting his health care reform package. 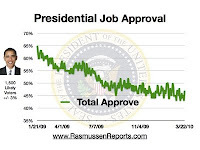 In fact, the Rassmussen polling firm recently cited the fact that every time Obama made a major push for the legislation, his approval rating fell and the numbers in favor of Obamacare remained stagnant. It would appear that what was once thought to be Obama’s greatest asset, his communication skills and his seeming ability to convince vast swaths of the electorate that excrement tastes good, are not the threats to the conservative cause that we once thought them to be. 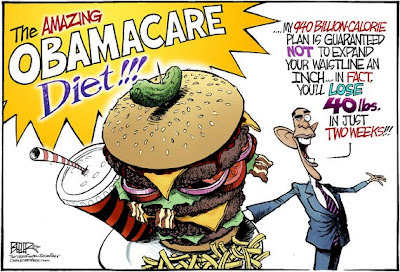 Obama and his enablers in the media will undoubtedly tout the passage of health care reform as a huge victory for Obama. However, the evidence suggests that the plan passed despite Obama, not because of him. It is truly remarkable just how ineffective the President’s arguments in favor off health care reform were in convincing the electorate to adopt his goals as their own. Conservatives no longer have any reason to be intimidated by Obama’s once legendary rhetorical abilities. 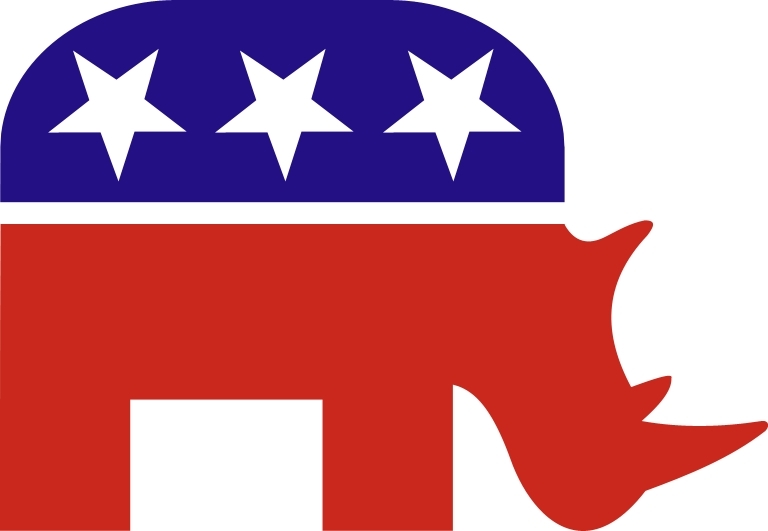 6.The Republican Party is Conservative Again. Finally, conservatives nationwide should be extremely happy with the congressional Republicans’ ability to stand together unanimously against headwinds that seemed impossible to navigate only a year ago. They fought tooth and nail against the health care monstrosity from the beginning to the end. Devout conservatives like Tom Coburn and John Boehner stood shoulder-to-shoulder with the likes of John McCain, Lindsey Graham and others whose dedication to the conservative cause has been repeatedly questioned by the base for years. They did so for two reasons. First, every Republican was antithetically opposed to this government power grab. For the past year, conservatives have justifiably denounced the G.O.P for its free spending ways during the Bush administration. But when faced with the prospect of enacting a full-out undiluted government entitlement, their conservative instincts kicked in and they didn’t budge. Second, and most importantly, it showed that G.O.P. leaders have heard the message that has been sent by the vast majority of conservative Americans over the past two years--that we expect them to be real conservatives, not RINOs; that we demand that they exhibit a true dedication to principles of limited government, deficit reduction and the ideals set down in our nation’s founding documents. 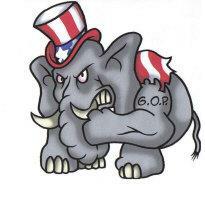 A little over a year ago, moderate Republicans like Colin Powell and David Brooks were telling us that if the G.O.P. did not moderate and start behaving more like Democrats, who had been victorious in 2006 and 2008, our party would almost certainly become irrelevant, enjoying only limited regional power. It is now obvious that these predictions completely misjudged the true ideological leanings of the American majority. So while the arrival of Obamacare gives us reason to mourn, what has ensued over the year-long battle that we waged against it give us a number of reasons to be incredibly optimistic about the future of our country and the future of the conservative movement. Even in a life-long conservative, I told you so kind of way, I take absolutely no pleasure in the following statement: At no time in our history have the President and Congress jointly and willfully deceived the American people so egregiously as have Barack Obama and the Democrats on the issue of health care reform. Of the multitude of lies foisted upon us since the debates inception, none is as bald faced as the Democrats unanimous assertion that the legislation currently being considered will reduce the deficit. Today, giddy Democrats held a press conference to tout the Congressional Budget Office’s numbers which score the bill at $940 Billion and which, on paper, claims that Obama’s new entitlement will not only be deficit neutral but will actually reduce the deficit over the next twenty years. Tommorow, here in Fairfax County, Mr. Obama will stand before an adoring audience and make an identical claim. Those in attendance will cheer. Any brave soul who dares to yell out “You lie!” will inevitably be drowned out by the swooning hundreds, still entranced by the president’s celebrity status and rhetorical prowess. But this brave soul would be right. It’s a fact that there is no deficit reduction in this bill. This bill will add to the deficit. Yes the CBO is non-partisan. Yes their calculations are technically correct. The manipulation of the numbers happened before the bill was even in the CBO’s hands. You see, the CBO does not simply look at legislation and estimate its cost. What happens is,the CBO is given a list of expenditures and, in this case was asked to determine what the effect on the deficit would be IF a sum of hypothetical money was spent a hypothetical way. But, when the Democrats handed the plan to the CBO they included a fictional $500 Billion. For 13 months we’ve been told that this bill would be paid for in large part by half-a-trillion dollars in cuts to Medicare. The CBO estimate not only assumes that those cuts will be found and implemented (something that most of us familiar with Washington politics see as very unlikely) but it also counts the same $500 Billion twice. Once to pay for the new entitlement in which 31 million people will get a health care handout from the government and then again to make Medicare solvent. Add this to the fact that an additional $250 Billion in cuts in reimbursement rates to doctors has been hidden in another bill and what you have is a bill that very clearly ADDS too the deficit. So either the Democratic Party is really bad at basic math or they’re full of it. 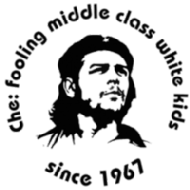 True progressives can almost be forgiven for ignoring this whopper. If you sincerely believe that the expansion of the nanny state and a vast reworking of the American economy is a moral imperative and that it needs to be done by any means available then the lie may seem like a necessary evil. However, for our highest ranking public officials or those who conveniently choose to ignore Obama and Pelosi’s Climategate style, budgetary magic in hopes of securing a political victory for the President, (I’m looking at you mainstream media) this blatent dishonesty is unforgivable. What makes this even stranger is that this lying seems almost pathological. The public isn’t stupid. The majority of them are not so ignorant as to think that congress can enact a huge entitlement and at the same time reduce the deficit in either the short or the long term. 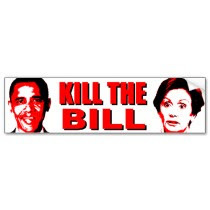 This majority already opposes the bill and at this stage their minds are made up. There is no way that they are going to swing back and give the president their stamp of approval at this point in the game. Convincing them is a lost cause. And it’s not as though the Democrats care about public opinion in the first place. They have been intent on ramming this bill through since last summer, regardless of the fact that the proposal has been upside down in the opinion polls for months. President Obama and congressional supporters of this bill smile big at the podiums knowing full well of the deception in which they are taking part. The Blue Dogs know that their jobs will still be at risk even if some of their more gullible independent constituents buy into the farce. So what, exactly, is the incentive to propagating this huge lie? It’s partially being done to try and make up for the Democrat’s historic blunder in proposing a costly new entitlement at a time of economic uncertainty and when deficit reduction is on the minds of a growing number of American citizens. Not to convince us perhaps, but rather for Democrats to convince themselves that they are actually cleverer than the evidence suggests. But even if it is an exercise in self delusion, it does not excuse the behavior of the President and his enablers. This particular lie is simply the latest and the greatest in a string of untruths that have come from the president since the inception of the health care struggle. His repeated claim that if passed the public option wouldn’t eliminate anyone’s ability to maintain the services of their current physician and the more recently floated falsity that the bill will lower costs for individuals and families both come to mind. Right now, many Americans fear for their country and with good reason. They are obviously deeply distressed over the permanent economic damage the bill will result in and the havoc that it will wreak on the U.S. health care system if passed. But they also fear for the political process itself. Never in modern times has the sausage making been so underhanded and corrupt. Obama and the Democrats have decided to change the rules deep into the game. Reconciliation can now be used to pass just about anything. The House is flirting with the idea of eliminating the need for an up or down vote, even on the most consequential pieces of legislation. Favorites are being played openly and regularly whether they be labor unions or Senators from states whose votes are required for passage. But most importantly, it is possible that the Democrats will achieve victory on a piece of legislation that has been sold to the public almost entirely using pretenses that the leadership knows to be false. The idea that this could become standard practice not only for the current Democratic Party establishment, but for our future leaders on both sides of the aisle is a terrifying prospect. 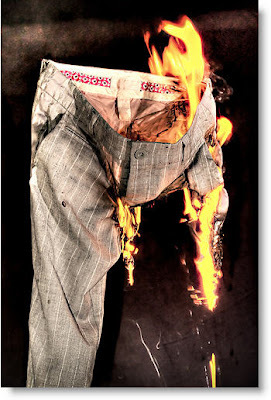 For eight years we have heard the liberals repeat the assertion that George W. Bush “lied” us into war with Iraq. Yet, after all of this time the Left has never put up a shred of real evidence to prove this charge. When it comes to Obamacare however, the evidence is everywhere. It is easily accessed and overwhelming. It pains me greatly to say this about any commander in chief. I have always prided myself on holding back on using this particular term for our highest officeholder until there is an obvious and flagrant disregard for the truth and it is exhibited on multiple occasions. That standard has been met. 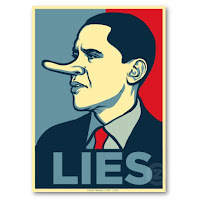 President Obama is a funadamentally dishonest individual. Call the Blue Dogs! The Stop Obamacare Phone Tree. The fate of the future of the nation's health care system and the American economy lies in the hands of these "Blue Dog" Democrats. Call them and tell them that either they're with the American people or they're with Nancy Pelosi. If it's the latter then they are likely to find themselves unemployed come next January. The Facebook fan page for Generation Right is up and running. Not much there yet, but soon it will be full of useful info regarding the contents and the release of the book.